For the record, Stefan A. Halper, the FBI spy who approached three Trump advisers during the 2016 Trump presidential campaign, also has long-term connections to the Koch-funded Cato Institute. He wrote in January 1996 a policy analysis paper for Cato: A Miasma of Corruption: The United Nations at 50. In February 2007, he was featured at a Cato book forum (The Silence of the Rational Center: Why American Foreign Policy Is Failing) where he spoke with comments by Chester A. Crocker, James R. Schlesinger Professor of Strategic Studies, Georgetown University, and Assistant Secretary of State for African Affairs (1981–89); Martin Walker, Editor Emeritus, United Press International and Director of the Global Business Policy Council; and Thomas Omestad, Senior Writer/Diplomatic Correspondent, U.S. News & World Report. 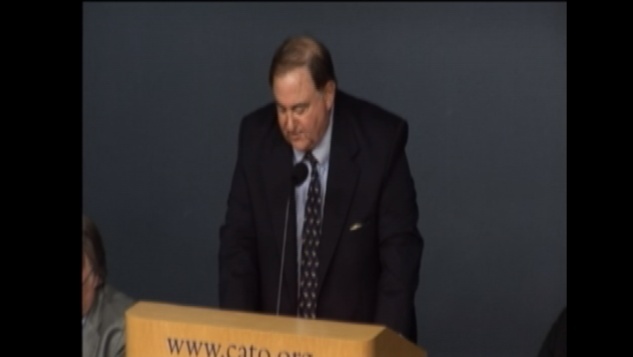 In April 2010, he was also featured at another Cato book forum (The Beijing Consensus: How China’s Authoritarian Model Will Dominate the Twenty-First Century) event where he spoke with comments by Bonnie S. Glaser, Senior Fellow, Center for Strategic and International Studies; and Ted Galen Carpenter, Vice President for Defense and Foreign Policy Studies, Cato Institute. Moderated by Doug Bandow, Senior Fellow, Cato Institute. Halper's co-author of "The Silence of the Rational Center" and "America Alone: The Neo-Conservatives and the Global Order” is Jonathan Clarke, a former Research Fellow for Foreign Policy Studies at Cato.